In September 2008, the Aurora board approved seven new projects for 2009. Many of the projects correspond with research initiatives identified at the 2007 National Spring Maintenance Peer Exchange. Brief descriptions of the seven new projects follow. Aurora will evaluate the capabilities of the Lufft R2S precipitation sensor over a full annual cycle and compare the device to other precipitation sensors. 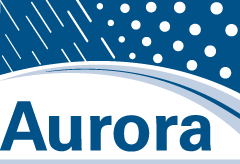 Aurora will convene a national winter maintenance meeting among several agencies to share research results, hear updates from the snow-belt states, and discuss other winter weather-related issues. This project will develop a web-enabled knowledge base, like Wikipedia, that allows sharing and retrieval of road weather information, with specific emphasis on data loggers. Aurora will develop methods and/or materials for disseminating existing road weather and RWIS educational materials. This project will use RWIS data within the Pavement Precipitation Accumulation Estimation System (PPAES) and blend different PPAES products. Aurora will survey state transportation agencies to gauge their interest in buying and implementing on-vehicle chemical sensors. Based on the priorities identified during the 2007 National Spring Maintenance Peer Exchange, this project will review the state of the art in friction detection. With Aurora’s help, the National Spring Maintenance Testing Program will undergo a trial run in the near future. Aurora and its partners plan to test the program to see if it will meet the needs of project investigators. The team also plans to develop a website where agencies can post unpublished information on the maintenance-related research they have completed. For more information on the National Spring Maintenance Testing Program, contact Tina Greenfield, Iowa DOT, 515-233-7746, tina.greenfield@dot.iowa.gov. The Traffic Operations Center at the Utah DOT is unique. Along with the traffic engineers and control room operators, the center has an in-house meteorological consulting group that works to make sure any weather-related information that goes out to the public is timely and accurate. “We’re trying to get a handle on how good the information is that we’re putting out and how it compares with what the weather service is putting out,” says Aurora Program Chair Ralph Patterson, a meteorologist with the Utah DOT. 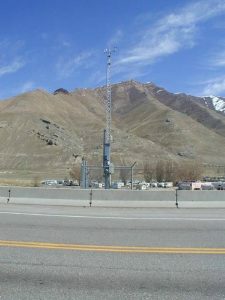 Aurora is evaluating the costs and benefits of the Utah DOT’s weather operations and RWIS in an ongoing project. During phase I of the project, the team evaluated the savings incurred by the Utah DOT’s winter maintenance program. Phase II, which is currently underway, is looking to identify the benefits gained by the Traffic Operations Center. For more information about the Utah DOT’s unique Traffic Operations Center, contact Ralph Patterson, 801-887-3735, ralphpatterson@utah.gov, or visit the Utah DOT Commuter Link website.